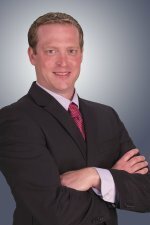 Attorney Joseph P. Vendetti of Erie, Pennsylvania Earns Workers’ Compensation Law Specialty Certification. He is One (1) of only Two Hundred Thirteen (213) Attorneys Throughout the Whole State of Pennsylvania to Earn the Certification. Joseph P. Vendetti, Esquire, a member of Vendetti & Vendetti law offices has been certified as a specialist in the practice of workers’ compensation law by the Pennsylvania Bar Association Workers’ Compensation Law Section. Attorney Joseph Vendetti successfully completed the certification process by submitting a variety of documents showing that at least 50 percent of his/her legal practice is in the specialty field of workers’ compensation, that he/she has practiced in the field for more than five years, and that he/she actively participates in Mandatory Continuing Legal Education in workers’ compensation law and related fields. Attorney Vendetti also passed the certification examination that focuses on workers’ compensation law and rules and leading case law. In 2012, the Pennsylvania Supreme Court approved the PBA Workers’ Compensation Law Section as the first bar association entity in Pennsylvania to certify lawyers in the area of workers’ compensation law. Founded in 1895, the Pennsylvania Bar Association strives to promote justice, professional excellence and respect for the law; improve public understanding of the legal system; facilitate access to legal services, and serve the 28,000 lawyers who are members of the association.